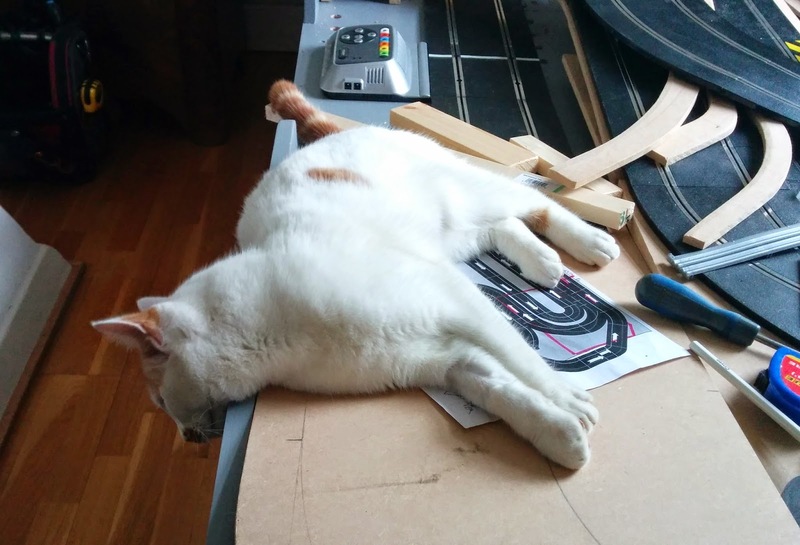 I've had a good amount of time to work on the track but it is taking longer than I expected to get the underlying framework built to my satisfaction. Probably most of the time was spent adjusting one of the complex slopes. This is two slopes on straight sections between curves. They are also at a slight bank. I came up with a simple method to create the slopes. 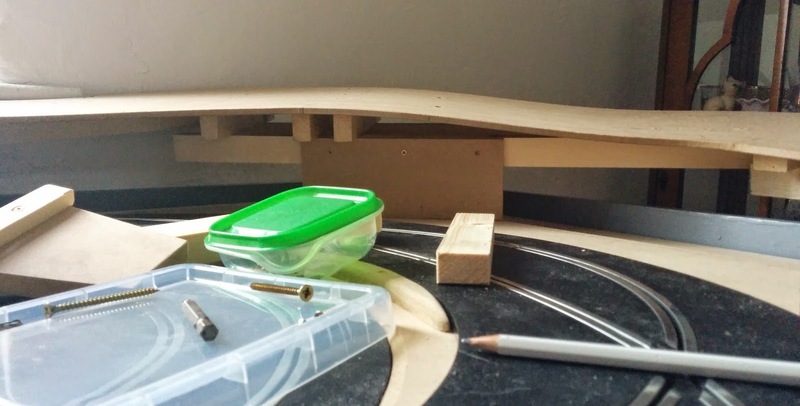 I've used 6mm MDF for most of the slopes that need forming but I have also got shallow curves with 9mm MDF. I use two parallel straight bits of timber and cross members to form the height. One end of the board is securely screwed to the flat of the timber and at the other end I just lift the board and push in the cross member. That can be slid along or the thickness changed until I get the angle curve I am after. More complex curves use more cross members. What took the time was that after assembling it, I ended up with a very steep bank along the back wall under the window. This is just because of the combined slopes in different directions. I expected a small bank but what I got was so angled I was concerned about the traction of the cars. 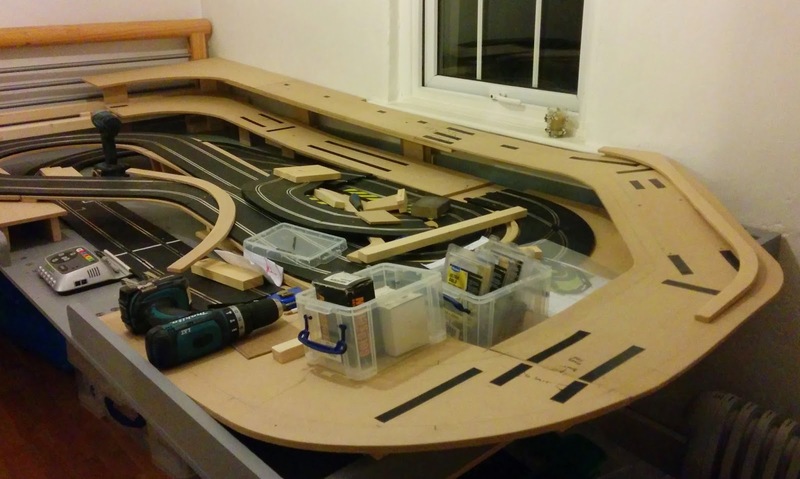 I had a rethink, took it apart and rebuilt it several times until I was able to get a gentle slope that curves back to near level. This solved the banking problem. At least to an angle I was happy the cars would not suffer from. When going over the brow of a hill it is necessary to have only a very gentle curve. So many cars, because of the magnets, are very close to the track and make contact very easily. 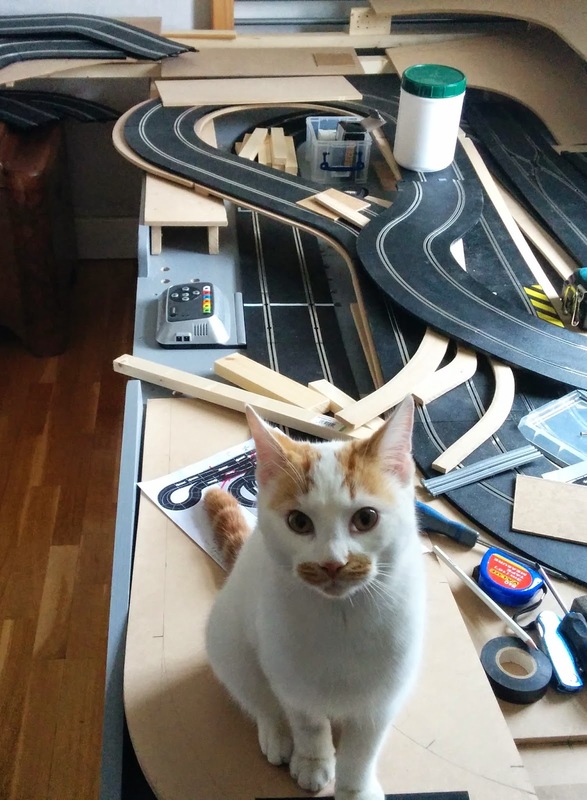 I won't know for sure if I've got it right until it is all back together and the cars are racing round. I've had help at most stages as you can see by the photos. One other thing. 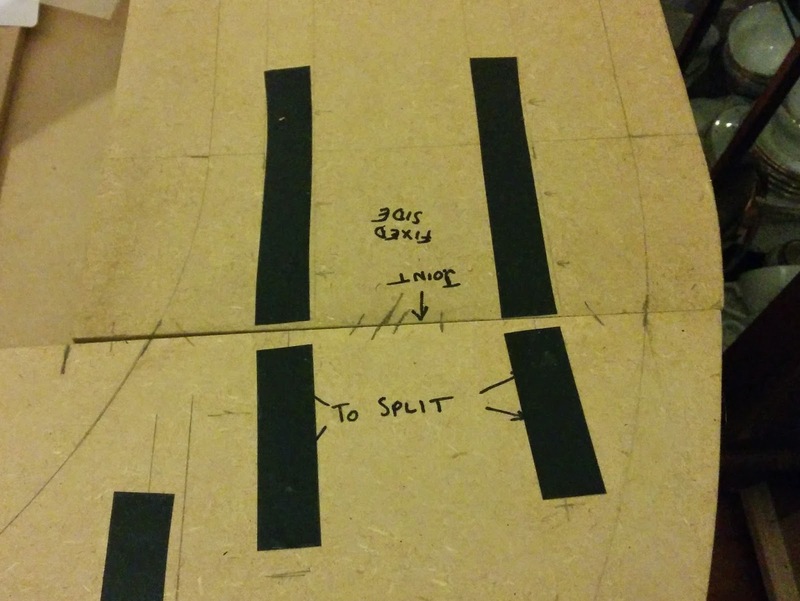 As this is only a semi-permanent design I have been marking up the best places to take it apart, as I go along. Without this I know I will not remember. I just have two sections left to join together to complete the framework for the circuit.